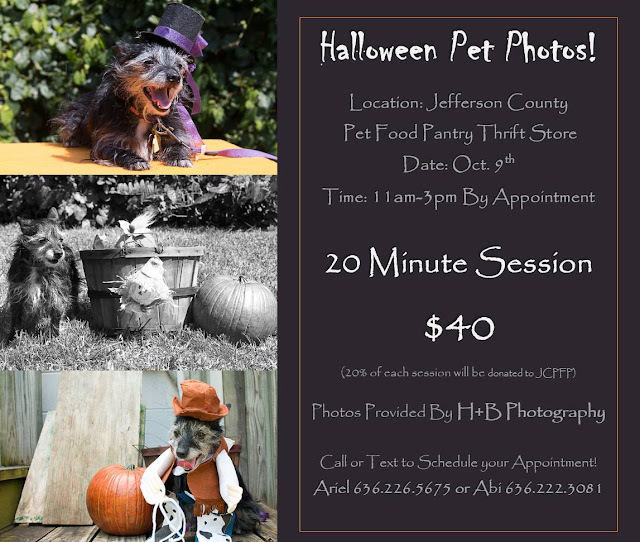 Pet photo shoot by H+B Photography, appointment only. 20 minute session for $40.00, 20% of proceeds will go to JCPFP. Call Ariel 636-226-5675 or Abi 636-222-3081 for appointment.